Recently, a few of my blogs have focused on time-saving tips. My three-part series on meal prep gave you tips on how to save time in the kitchen. 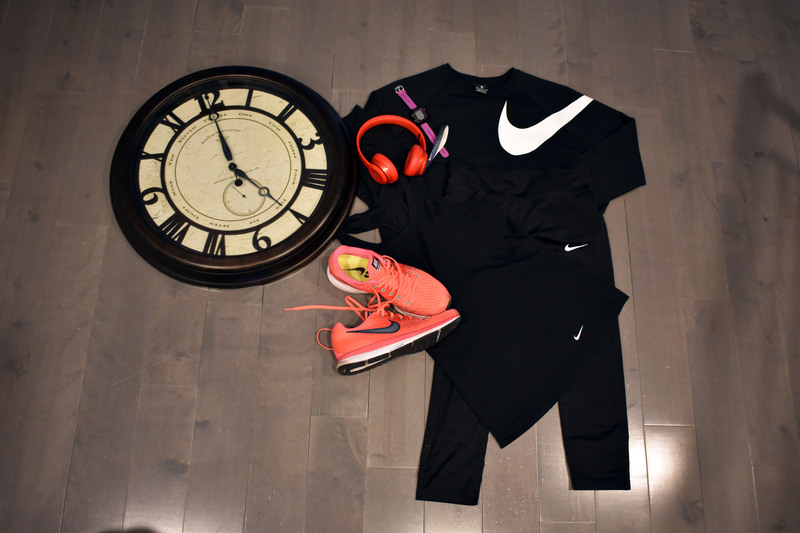 I also blogged about my favorite workout called the 21-Day Fix and how it’s saved me hours and hours from the gym allowing me more time to focus on my work, my wonderful husband and, of course, my blog. But even with the meal prep and the 21-Day Fix workouts, I still found myself needing more hours in the day. What seemed like 10:00 a.m. on a Monday turned into 4:30 p.m. on a Wednesday. Time was spinning out of control and I needed more of it. Enter my husband who had this crazy idea of waking up at 5:00 a.m. during the week. My first thought was, no…hell no, is he crazy? But after I thought about it, and after he told me all about the benefits, I gave in. That first day was hard. Actually, the first three weeks were tough. But, like all life changes, you get used to them and start to love them. Don’t get me wrong, I love sleeping, but I love checking off all of my to-do list items more. So, what do I do at 5:00 a.m.? I workout. Getting my body moving helps get my mind right for the day. No longer do I set my alarm for 6:00 a.m. and hit the snooze until 6:45. Side note: you are so right science – the snooze button is the worst thing for your body. Once my 30-minute workout is complete, I enjoy a nice shake and get ready for the day. I find myself more productive and ready in the mornings. The only challenge is the late afternoons. Not always, but sometimes, I’ll get tired around 3:00 pm. This used to be one of my biggest challenges when I first started. But after a healthy snack, I was right back in the game and ready to take on anything. 5:00 a.m. iPhone alarms are the worst. But once you jump (or roll) out of bed it starts to get easier and worth it. You’ll feel more productive in the mornings and your evenings will be open for date nights, work events, shopping or having drinks with the girls. Give it a try for a month or two. You’ll be so happy you did. Are you a morning or a night person? What tricks and tips do you use to keep you productive throughout the day? I am such a night person! I will stay up until all hours doing stuff instead of dragging myself out of bed in the morning. But like you said, less and less gets done and I find myself choosing between my to-do list and my love-to-do list that includes date nights and more time with the ones I care for.